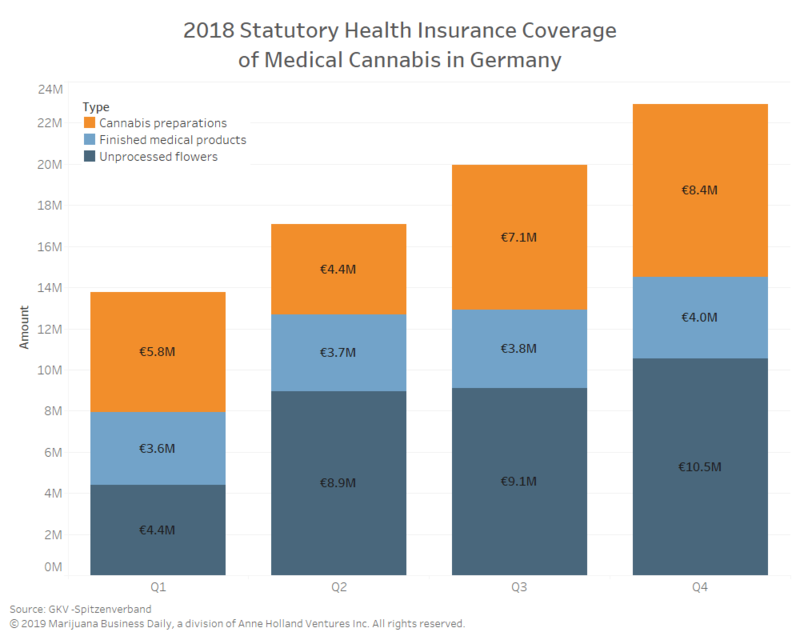 Statutory health insurers in Germany covered 73.7 million euros ($83.7 million) worth of medical cannabis products in 2018, according to new data published by German health insurance agency GKV-Spitzenverband. Pharmacies in the country processed 185,370 prescriptions under the statutory program – which covers roughly 90% of the population – during the year. 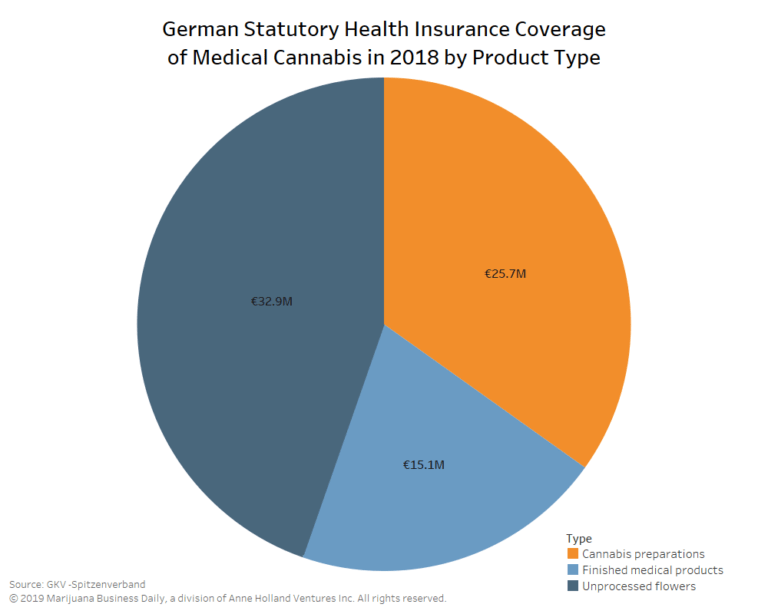 Private prescriptions are not included in GKV-Spitzenverband’s report, and there’s no centralized database to keep track of total sales of medical cannabis. About two-thirds of applications for reimbursement are approved, but patients can pay out of their own pocket if insurance reimbursement is denied or if they are not covered by the statutory program. Unprocessed cannabis flower, all of which was imported from the Netherlands and Canada in 2018. The country is in the process of permitting domestic cultivation, with the results of the applications process expected next quarter. Cannabis preparations, including ground imported flower when prescribed by a doctor, full-spectrum extracts from Canada-based Tilray and dronabinol preparations. Extracts from Canada-based Aurora Cannabis will be included in 2019. Assuming an average price of 20 euros per gram, 1,647 kilograms (3,234 pounds) of unprocessed flower was covered by the statutory health insurance in 2018. This does not include flower that has been processed and is included in the cannabis preparations category. We are SO behind in this(USA) country!